Cellphones are bad, mmkay? Or at least that is what many want us to believe, what with all these warning labels and studies telling us that mobile users will end up with brain cancer and kidney damage. Not to mention the dangers of phone addiction -- horror of horrors -- for our youth. 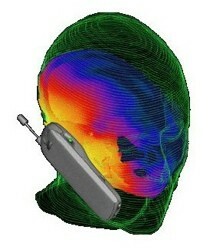 Now, the National Institutes of Health have shown that radiation from your phone's antenna increases brain activity. Using positron emission tomography (PET) scans on 47 individuals with a muted phone on each ear (to prevent aural brain stimulation), the study found a seven percent increase in brain activity in the area closest to the phones' antennas when receiving a call. The catch -- scientists don't know "whether this is detrimental or if it could even be beneficial," so don't go trading your Cell-Mate in for a Bluetooth headset just yet.